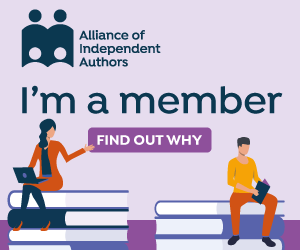 In the true spirit of the writers’ collective whose name it bears, this book brings together many different voices (and not just the five authors currently in the Triskele group) to share the benefits of their experience with indie authors everywhere. It picks off in turn every aspect of the production and publication of an indie book for examination, offering a wealth of advice gained at first hand. It was good to see quite a few pages devoted to ways of improving the writer’s craft – something too often overlooked in books of this kind, when it is of course the most important part of the whole process of producing a professional quality, self-published book in any genre. All of this it does with good humour and wit, with the individual writers’ characters, passions and different areas of expertise shining through their various chapters. As I was reading, I felt as if I was witnessing a writers’ conference unfold on the page before me, a series of single-speaker presentations interspersed with some two-handers or panel discussions. Like any good writers’ conference, it reassured me that I’m doing a lot right already, reminded me of some things I knew but had forgotten, and left me buzzing with lots of new ideas too. The Triskele Trail includes copious references to authoritative websites, books and blogs, effectively delivering substantially more than the word count of the book itself.Usually I prefer to have reference books in print form, but this book is so stuffed with useful hotlinks that reading it as an e-book makes more sense, as it will be easier to jump straight to the links. I understand there are plans to bring out a print edition in due course (and with that beautiful cover, it would look good on any writer’s reference bookshelf). Where you read it in print or as an e-book, the addition of an index at the end would be a good idea, as I’m sure there are lots of bits that readers will want to refer back to once they’ve read it, and though the chapter headings are done well, an index would be handy too. The Triskele Books website is at www.triskelebooks.co.uk. we hide in a lot of places, but sooner or later get found or found out.